Also known as ‘Cap’, John Caparulo is a Los Angeles comedian best known for his appearances on Chelsea Lately. But that’s not all he’s known for. Cap’s first big break came in 2003 when he appeared in Montreal’s Just for Laugh’s Comedy Festival. From there he appeared on The Late Late Show with Craig Kilborn and also the Tonight Show with Jay Leno. Cap had the opportunity to feature for the Blue Collar Comedy Tour, and he was also one of the comedians from Vince Vaughn’s Wild West Comedy Tour. 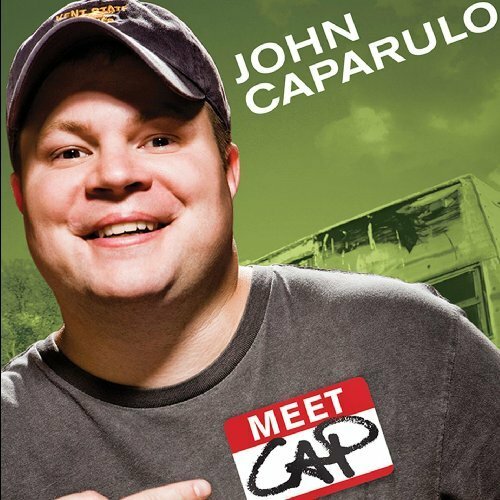 Caparulo’s first comedy special, Meet Cap, aired in 2008 on Comedy Central. Cap hosts “The Mad Cap Hour” radio show with his wife Jamie Caparulo, and comedian Mark Ellis which is found on Sirius XM as well as iTunes. He is currently in the middle of a tour working on his latest special, which will be filmed at the South Point Hotel & Casino in Las Vegas on April 6th. Cap was cool enough to hang out after the show and share a bit of his wisdom.